The Herbaliser are one of the more purely hip-hop oriented acts on Ninja Tune's roster of sample-based pocket-funk. Combining deft, mid-tempo beats, well-chosen jazz and funk figures, sparse scratching, and even the odd rap, Herbaliser bridge the gap between dusty B-side instrumental hip-hop and London's new school of psychotropic beat scientists. Formed by Ollie Teeba and Jake Wherry in the early '90s, Herbaliser, unlike many of London's abstract beat scene's acid house-steeped big-name artists, trace their roots to American jazz and funk (Roy Ayers, Johnny Pate, Ramsey Lewis) as well as old-school hip-hop (particularly of the New York variety -- Grandmixer D.ST, Sugarhill, Jungle Brothers). A bass player in acid jazz/funk group the Propheteers, Wherry met local DJ Teeba in South London, where they both lived. 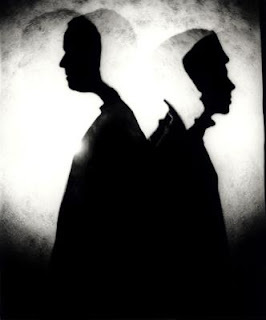 The pair assembled a few tracks in Wherry's tiny studio, which they subsequently passed to Ninja Tune bosses Matt Black and Jonathan More (aka Coldcut) in a club. The group were signed to the label shortly after. 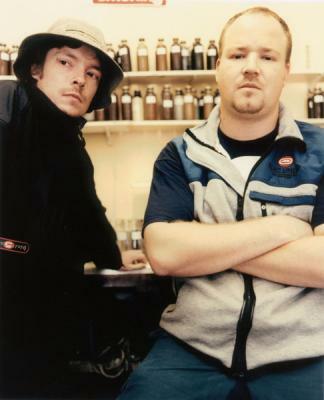 Herbaliser released a few warmly received EPs on Ninja Tune in 1994 and 1995 (the hard-to-find Real Killer being the best) before dropping their debut LP, Remedies, which brought both the group and the then up-and-coming Ninja label much attention. While that album capitalized more directly on London's burgeoning underground breakbeat scene, freely mixing styles into a funky, sample-heavy amalgam closer to beat-heavy acid jazz, subsequent singles ("Flawed Hip-Hop," "New & Improved") subtracted the schmaltzier bits from the mix, focusing in and expanding upon the group's hip-hop foundation. Blow Your Headphones, their second LP, presented a solid hour-plus of the same, simultaneously taking aim at U.K. trip-hop's tendency toward gimmick and noodle over depth and kick. Very Mercenary followed in 1999, bolstering the duo's hip-hop foundation, as did 2002's Something Wicked This Way Comes. 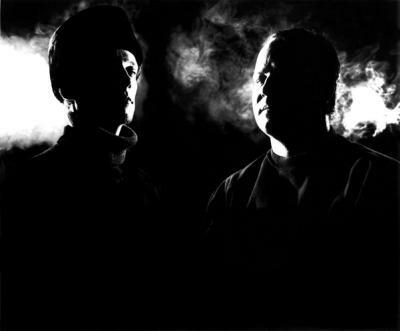 The group have provided remixes for artists including DJ Food, Raw Stylus, and label foremen Coldcut's "Atomic Moog," the last of which went to number one on the U.K. singles chart. Wherry has also released solo material through the Parisian Big Cheese label (under the name the Meateaters) and worked with the Propheteers. A touring act as well, Herbaliser assemble a full-blown band for live performances, with Wherry's bass and Teeba's turntable tricks supported by a three-piece horn section and live drums and percussion. That live act gained more influence on their recording activity, seen to small effect on Something Wicked This Way Comes but coming into full flower with 2005's Take London.